Redress, the Hong Kong based NGO working to reduce textile waste in the fashion industry, opened the ninth cycle of The Redress Design Award, the world’s largest sustainable fashion design competition. 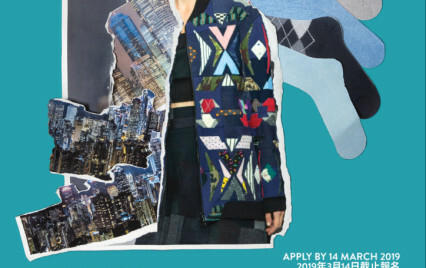 The Brooklyn Fashion + Design Accelerator is proud to be a sponsor once again this year. With a focus on emerging designers, the search is now on to find the next big talent who has the ability to impress the judges and the commercial flair to inspire a new wave of conscious consumers. With a career-changing opportunity to collaborate with the JNBY Group (one of China’s leading fashion houses), the winning designer will create a sustainable collection for retail, whilst also supporting Redress’ mission to promote sustainable fashion and catalyse positive change in China’s powerful fashion industry. “In times of crisis, we desperately need creativity. Fashion’s direct link to waste, pollution and climate change is undisputed. By uniting the 2019 winner with a sustainably-minded fashion brand in China, we can influence one of the world’s most important fashion epicentres whilst showcasing the advances that China is making to clean up its act,” says Christina Dean, Founder and Board Chair of Redress. © Copyright Amy DuFault, Sustainable Fashion Writer, Consultant, Activist / All Rights Reserved.